“I like to compare Bayern’s dominance a bit to the Golden State Warriors in the NBA. Everyone complains about their dominance but in truth there are teams with enough resources to beat them,” Futbolgrad Network writer Matthew Marshall explained on the Gegenpressing Podcast on September 3, 2018. “The likes of RB Leipzig, Borussia Dortmund and Schalke all have the resources to do better and mount a more serious challenge,” he added. On the very surface, that statement seems out of place. Unlike it is the case in the NBA, there is no salary cap in the Bundesliga. Bayern München dominate the league financially, and the distribution of television money in German football makes it difficult for the likes of Borussia Dortmund, RB Leipzig and Schalke to close the gap. Furthermore, company teams like RB Leipzig or VfL Wolfsburg are also handicapped by Financial Fair Play regulations. UEFA’s FFP rules mean that investment by owners, whether they are companies or individuals, is treated as debt, which clubs will have to refinance. In other words RB Leipzig and VfL Wolfsburg despite the almost limitless funds by their respective owners, Red Bull and Volkswagen, have to operate within financial limitations that are set by how much money those clubs generate regarding third-party sponsorship, merchandise and player transfers. Calls for more investors and even tearing down 50+1, the Bundesliga rule that forces clubs to own 50+1% of the entity that controls the football, may not necessarily break down the status quo of Bayern’s dominance either. Hence, with 50+1 going nowhere, Bundesliga television revenue benefiting Bayern and no salary cap in sight Bayern’s dominance seems to hold a grip over the Bundesliga forever. That is where to a certain extent the comparison with the Golden State Warriors comes in. Bayern have the biggest resources, which allows them to buy the best players, which has made them into an almost unbeatable side like it has been the case with the Golden State Warriors. But the Bundesliga is by no means a league of have and have-nots. The NBA might be a salary cap league. But because there are fewer variables due to fewer players on the field/court the biggest resource in basketball is the individual – a market that the Golden State Warriors have cornered for themselves due to bad financial decisions made by their competitors. Borussia Dortmund have broken through the €400 million last year and have generated a staggering €536 million in revenue in the 2017/18 season. A significant amount of that money was generated by the sale of Ousmane Dembélé, who left Borussia Dortmund for Barcelona for €130 million. But even without the Dembélé transfer, Dortmund lay way ahead of the €200 million mark. 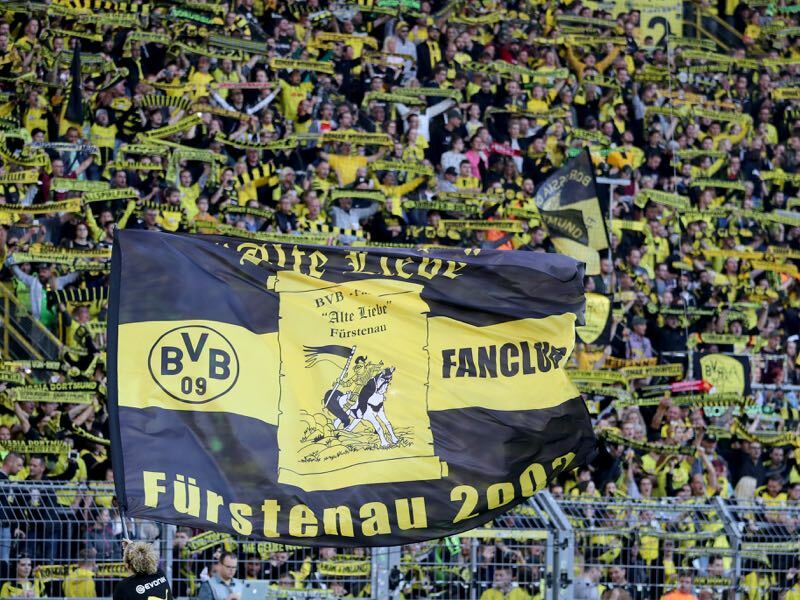 Even without all the transfers, Borussia Dortmund’s revenue would have been €313 million. Over in Gelsenkirchen the home of Dortmund’s biggest rivals Schalke revenue has also been substantial despite a year without Champions League football. Die Knappen recorded an annual revenue of €240.1 million last season and now back in the Champions League will likely see significant growth in their revenue this season. On Monday, September 10, Germany’s football magazine kicker reported that RB Leipzig, without the help of owner/sponsor, Red Bull will break through the €200 million revenue barrier this season. RB Leipzig are not the only German club beyond the magical €200 million barrier. Die Roten Bullen are one of seven clubs that are in and around the €200 million revenue mark in German football. The other three clubs are Leverkusen (€203.8 million), Borussia Mönchengladbach (€196.9 million) and VfL Wolfsburg (€190 million). Wolfsburg have seen their revenue collapse after two seasons in the relegation playoffs. Die Wölfe generated €240 million in revenue last year, which suggests that one or two positive seasons would see the club from the Autostadt quickly return above the €200 million mark. 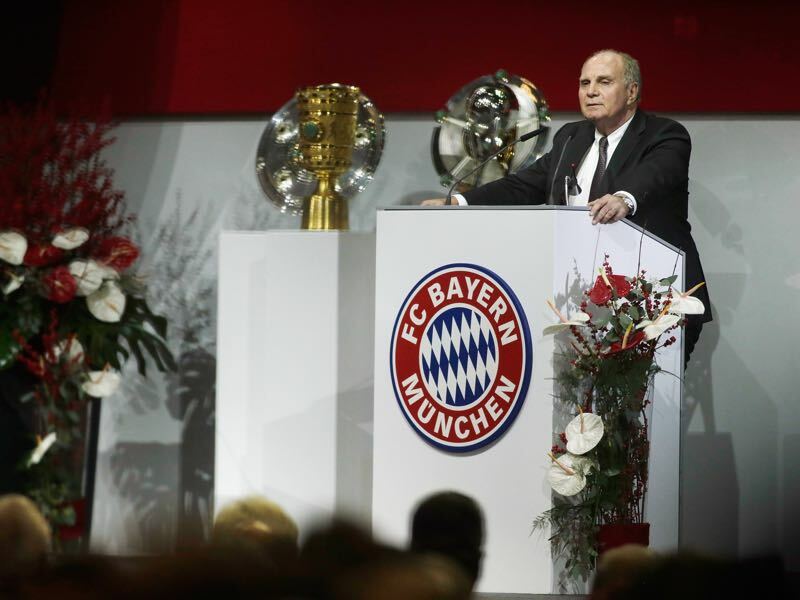 Above them, all sit Bayern München with an annual revenue of €640.5 million. The Rekordmeister generates one third more in revenue than their closest competitor Borussia Dortmund. 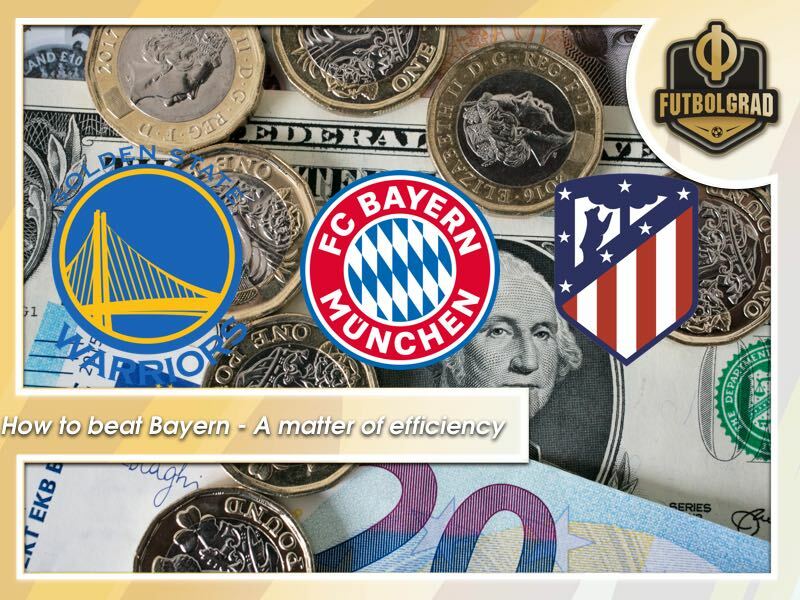 Money scores goals, and with no salary cap, the Bavarians have limitless funds to put together a side that makes the equivalents of the Golden State Warriors in the Bundesliga but without playoffs or a salary cap. The gap has grown to such an extent that Bayern do not even care about the Bundesliga title anymore some critiques have argued. For Bayern, it is only about the Champions League where they have been eliminated in either the quarterfinals or semifinals by Spanish sides Barcelona, Atlético Madrid and Real Madrid. Barcelona with an annual revenue of €648.3 million and Real Madrid with an annual revenue €674.6 million not only play in Bayern’s financial category but have also eliminated the Bavarian giants on a regular basis from the Champions League. On top of the financial chart, however, sits Manchester United with €676.3 million. The English record champions have, however, been nowhere near as successful in the last five years internationally as the German record champions. Hence, money does not always score goals. But how will this help the likes of Borussia Dortmund, Schalke, RB Leipzig or Bayer Leverkusen? A look at the financial table of the richest clubs by revenue also reveals that Atlético Madrid’s revenue was €272.5 million in 2017. That puts Los Colchoneros in the same category as Schalke, Bayer and RB Leipzig. Furthermore, numbers published by UEFA in February 2018 highlighted that in 2016 Wolfsburg spent just €3 million less on player salaries than Atlético. That season the Spaniards finished third in La Liga and reached the final of the UEFA Champions League. And Wolfsburg? Die Wölfe finished eighth in the Bundesliga standings and were eliminated by Real Madrid, who ended up beating Atlético in the final, in the quarterfinals of the Champions League. Since then, however, Wolfsburg have been a disaster in the league finishing 16th twice in a row. 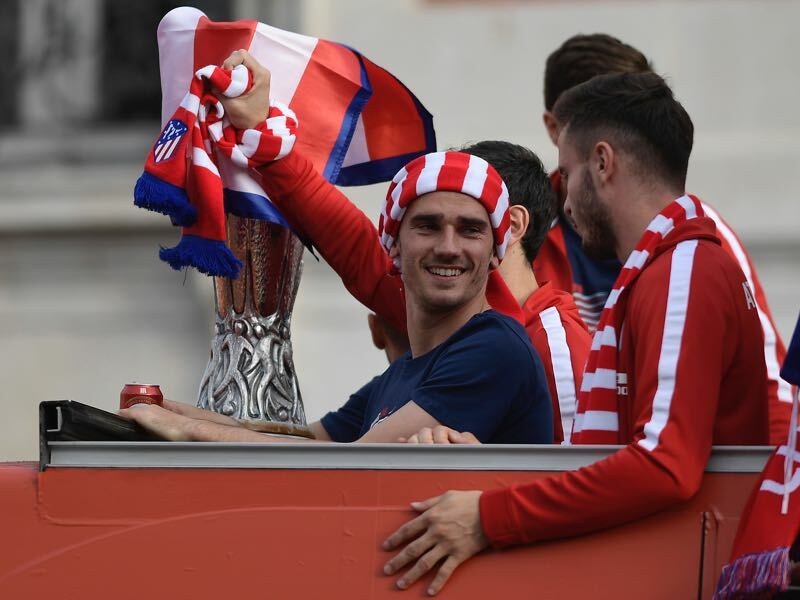 Atlético, in the meantime, have added another UEFA Europa League title to their collection and have managed to hang on to superstar Antoine Griezmann. How have they done it? Head coach Diego Simeone has been able to recruit a team that completely buys into his philosophy. It is a combination of management, recruitment but also using financial resources to the best possible effect. In that context, it is easy to pick on Wolfsburg. But in truth, the likes of Borussia Dortmund, RB Leipzig, Bayer and Schalke also have to shoulder the blame for Bayern’s dominance. All those clubs are in the same region or Dortmund’s case far exceed Atlético’s revenue, but not a single club in Germany can show off the domestic and international success that Atleti have managed. German clubs not that efficient after all? The Spanish paper Marca has labelled Atlético Madrid the most efficient club in Europe. Given that Atlético managed to challenge two Bayern like giants in their league regularly speaks volumes for the work done by head coach Diego Simeone and the entire management staff. It also shows that Bundesliga clubs may, in turn, not be great when it comes to handling their resources. This is the very essence of what Marshall wanted to point out in his Golden State Warriors comparison. Bayern might be dominant in the Bundesliga and based on their resources have a huge competitive edge. The remaining Bundesliga clubs, however, are not poor and should be able to mount a sufficient challenge based on their resources and the results that the likes of Atlético have inflicted on Bayern in recent Champions League campaigns. That in turn ties into the current general debate on German football. In truth, the resources are there, and while German football, beyond Bayern, is in no need of a revolution the individual clubs need to perhaps look at an evolution on how to spend their funds to emulate Atlético’s domestic and international success. Bayern might be the Golden State Warriors of the Bundesliga, but the Atlético model shows that other teams have the resources to beat them. Hello, Manuel. So, from what I’ve understood, those clubes are surveilled in order to spend amounts based on what are their profits, right? So basically they have taxes concerning how much they can generate per season, and considering that they would not be able to spend much more than that?